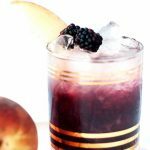 So I’ve been scheming up the idea of a new cocktail series based around patterns, and because Robin from Double Trouble and I happen to be a very similar kind of weird, she knew just what I meant by this! Together we schemed up some cool drinks based on patterns I loved, then I designed the backgrounds to match just so, and got them printed as big as possible. 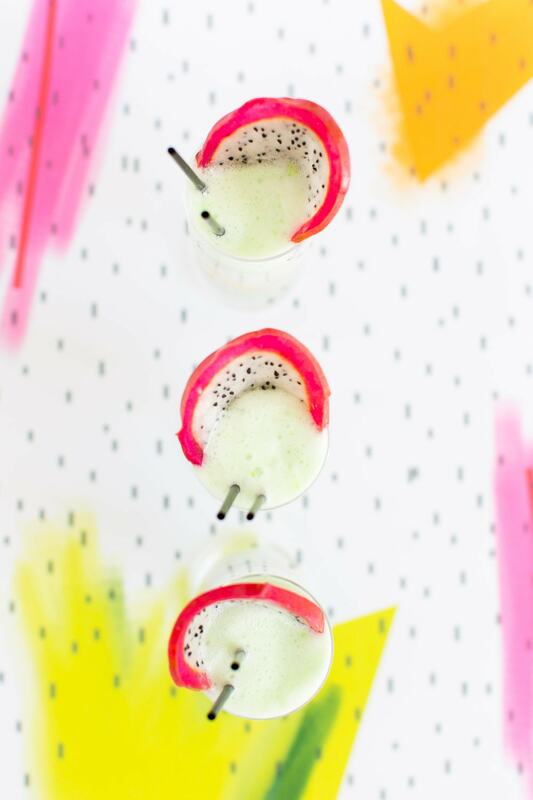 As such, my new Pattern Play cocktail series was born, and I think you’ll love the first few we have coming! 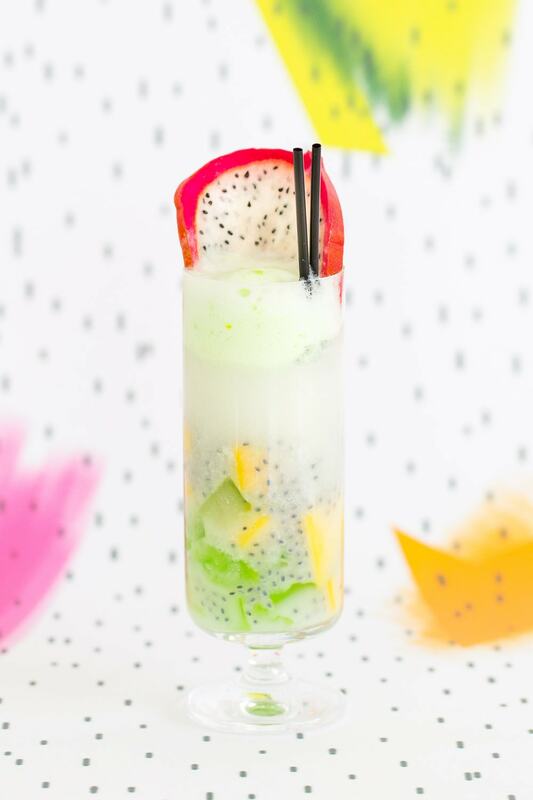 First up: this dotted thai fruit cocktail. 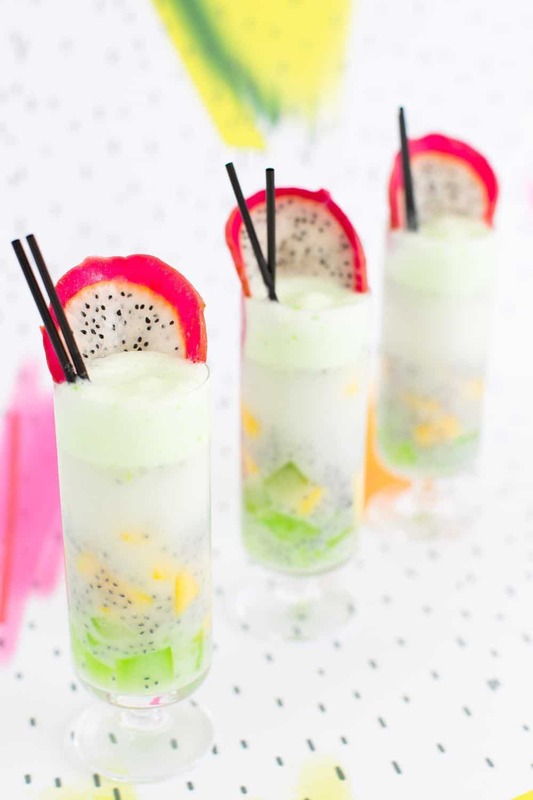 Once you’ve made the basil seeds and fruit mix, you can make PLENTY of these, so don’t be too intimidated! Prepare basil seeds according to package directions. Prepare Thai Fruit Agar dessert mix (or green jell-o) according to package directions. Once set, cut or break up the jelly into small pieces. Prepare Rose Grenadine: In a small saucepan, stir together 1 cup Pomegranate juice and 1 cup sugar. Heat slowly and stir until sugar is dissolved. Add 1oz rosewater, stir and remove from heat. Chill the syrup. 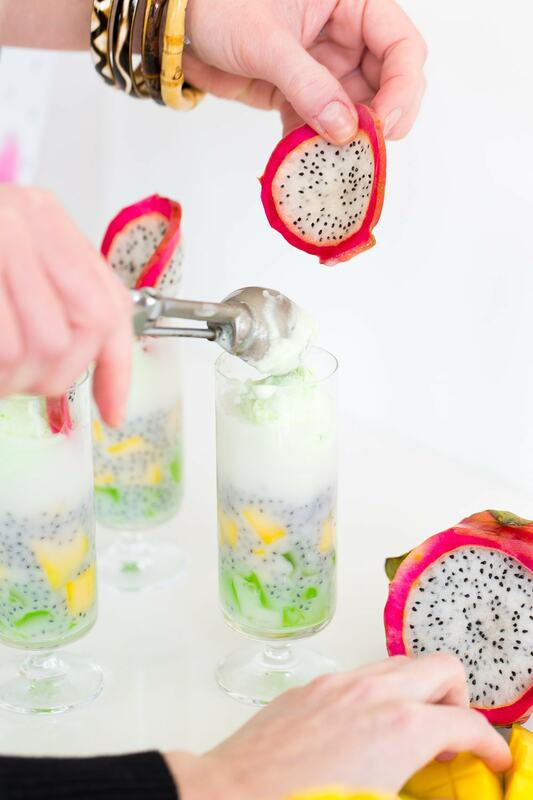 Add small pieces of green agar, 1 tablespoon of prepared basil seeds and fresh mango to the bottom of the serving glass. Top with crushed ice. Shake 1.5oz gin, 1/2oz Green Chartreuse and 1.5oz coconut milk with ice until well chilled (5-6 seconds should do it.) Strain over crushed ice. Lightly drizzle approx. 1/4oz Rose Grenadine on surface of the cocktail and add more basil seeds and mango if desired. 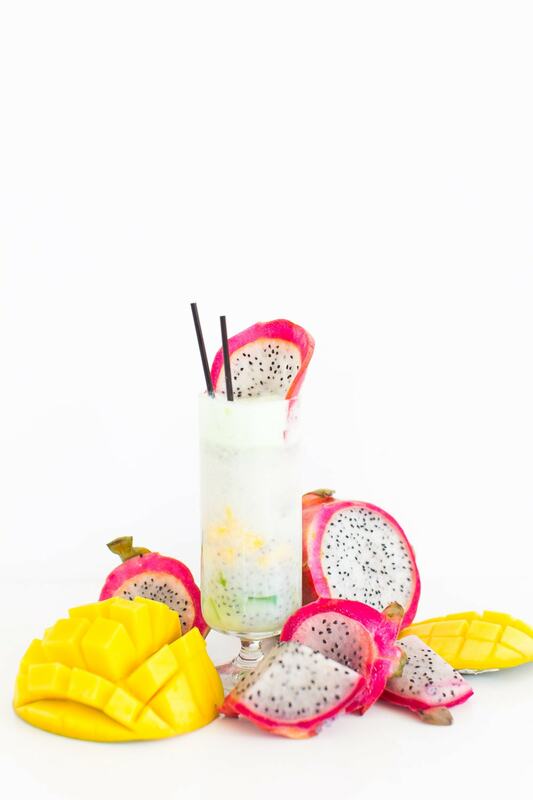 Garnish with thinly sliced dragonfruit and small scoop of lemon lime sorbet. What do you think?! 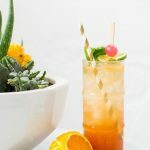 It’s equal parts delicious and trippy when you see it all together, but it’s definitely been a really fun way for us to combine our love of cocktail recipes and creative styling! I don’t even care how these taste because they are beautiful! 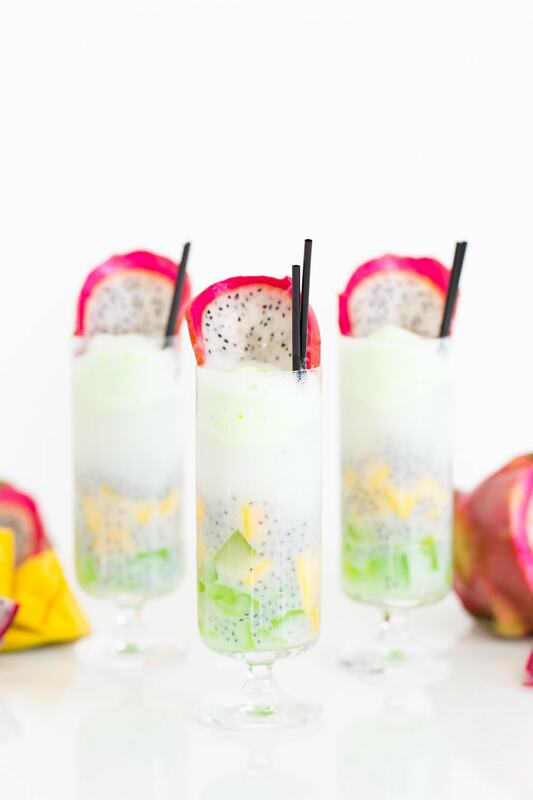 I’ve never had dragon fruit before, but this looks incredibly delicious! 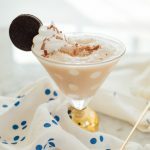 I love the idea of cocktails based on patterns! Can’t wait for the future posts in this series!! This cocktail sounds absolutely amazing and is so beautiful too! Thanks for the recipe! 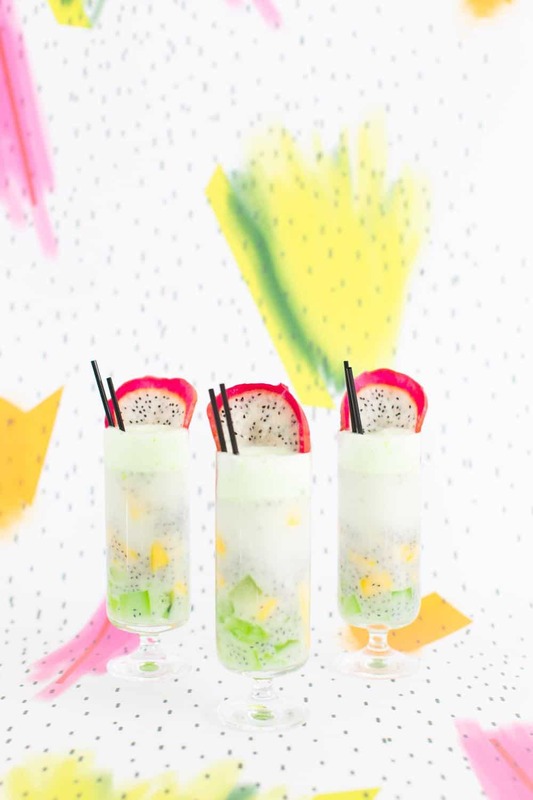 These are maybe the coolest looking cocktails I have ever seen. 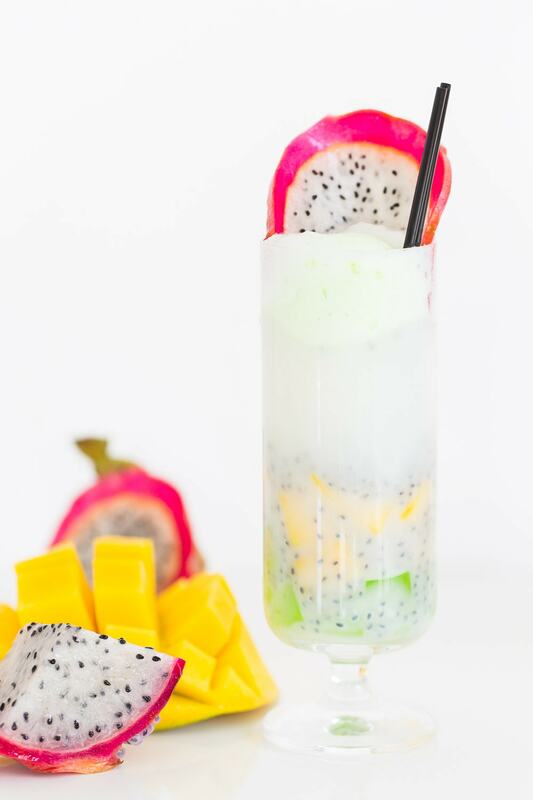 Seriously, I have an obsession with bright colors and spotted dragonfruits and this perfectly combines those two things. BRAVO!! 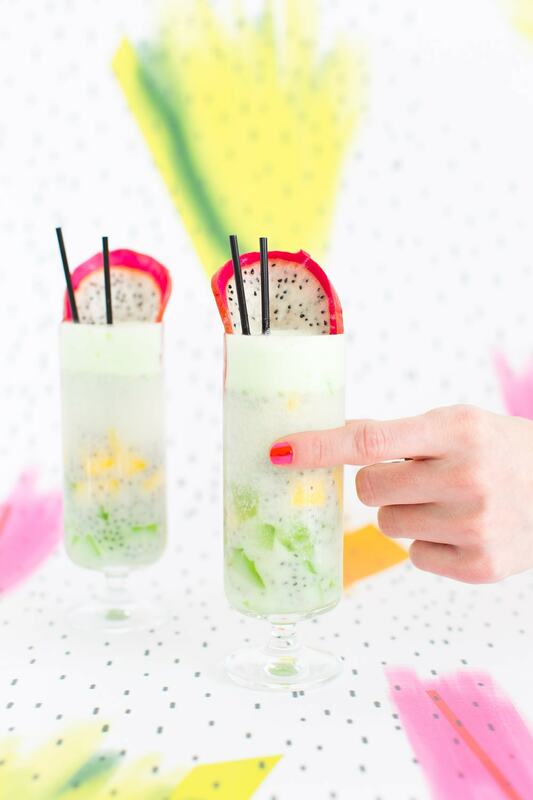 Hi this drink looks absolutely gorgeous. But I’m confused. Exactly what are you scooping on the top of the drink in the fifth picture? I can’t find that step in the directions. Hey, Ashley! This is Alex with the Houston Press– I’m working on this week’s blog round-up and obviously these photos are stunning. I’d really love to be able to use one for the post. I saw that someone else took them, and I can definitely link to his site with the photo credit. I would have to crop the photo down to a landscape orientation in order to use it. Please shoot me an email back tonight to let me know and, if you and the photographer are willing, one or two high-res photos– my address is AlexandraSDoyle@gmail.com. Thanks so much, and I absolutely adore the blog! If it tastes as good as it looks, I definitely want to try it! The pictures are lovely! Great idea! 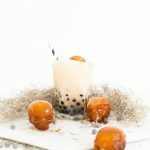 These are so fun and I’m sure they taste amazing!